Eager to know more about how Unstitched was started? At ShoesTV, they were able to get some personal answers from one of the Unstitched partners! Read their article to get all the juicy facts! 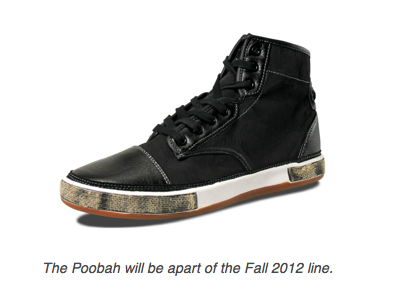 Plus, see sneak peek of a new shoe in our Fall 2012 line! Project Las Vegas was great! Take a look at our fab pics from the show! 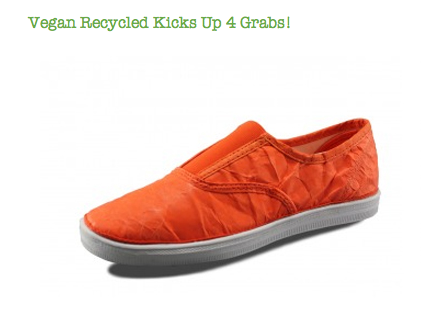 We love our recent review from the blog Planetsave! Marika had the chance to experience our Hang Up Demi in Grey and by the sound of it, she loved them! 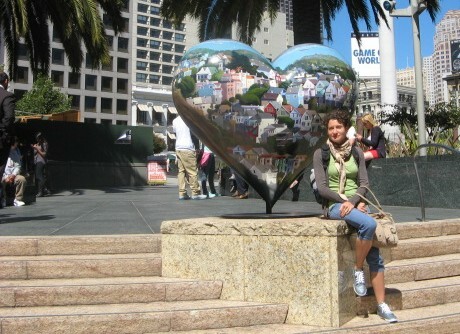 Read her review as she walked, hiked, and even played a few sports while wearing the shoes. Here's Marika wearing her Hang Up Demi's! 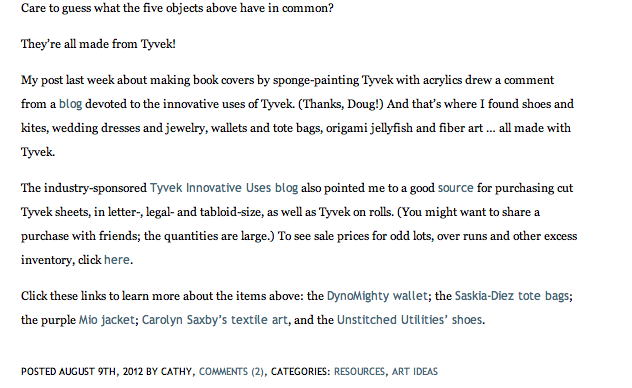 I came across this blog today called Bookmaking WIth Kids, and saw a great post, Teens On Tyvek: "Hecka Cool". I thought this would be awesome to share so that you can get an idea of how durable Tyvek is. This is also a great site to find projects for kids! Take a look at this post to see see the reality of Tyvek and what kids think of it too! 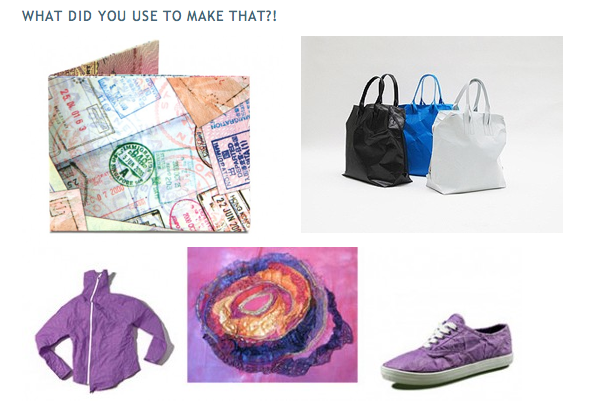 Tyvek is used for several different things, take a look a below at just a few! Today we were featured in the blog, The Average Girl's Guide. It's a great site to check out about fashion advice, recipes, and inspirations on living the best life you can. 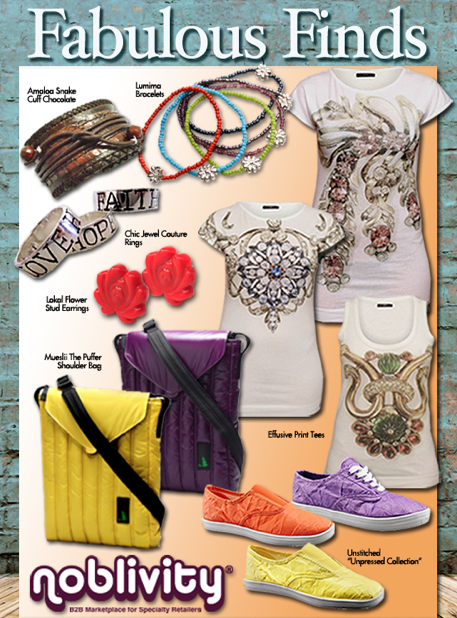 In this post, see how our Hang Up Slip On completes an outfit to make an awesome casual weekend style! They look so cute in blue! A good outfit to transtition into Fall weather! Check out more at The Average Girl's Guide! The wonderful green loving blog, Gorgeously Green, wrote a wonderful review on our Hang Up Lows! Check out what Sophie has to say about her new pair of shoes! Win a pair of Unstitched! It is an absolute must to check out the blog EcoStiletto! 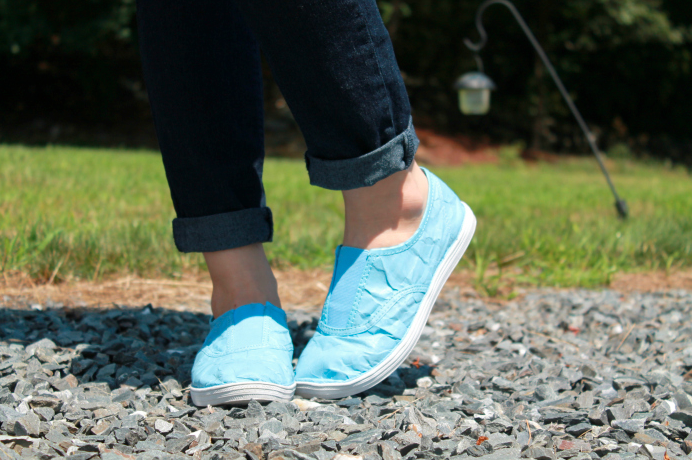 Two subscribers of their site will win a pair of Unstitched during the weeks of 7.23.12, 8.13.12, and 9.3.12! Take a look under their Veganista catagory! Bring on the color from Noblivity! 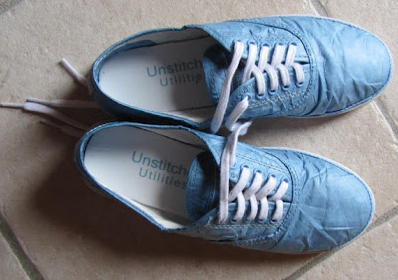 Check out all their cool finds, including Unstitched! Check it out here! 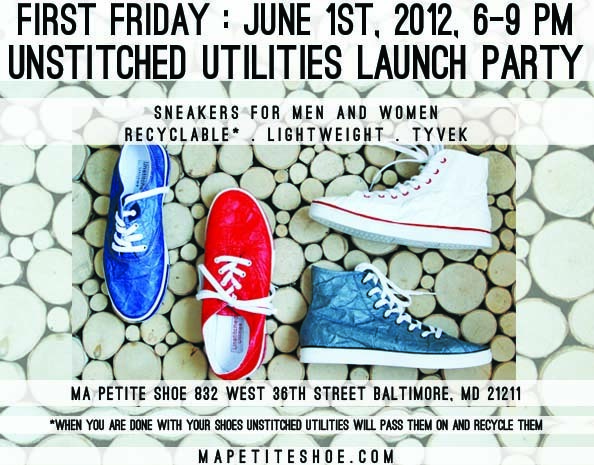 Unstitched is becoming a hit in Maryland, thanks to the store Ma Petite Shoe. 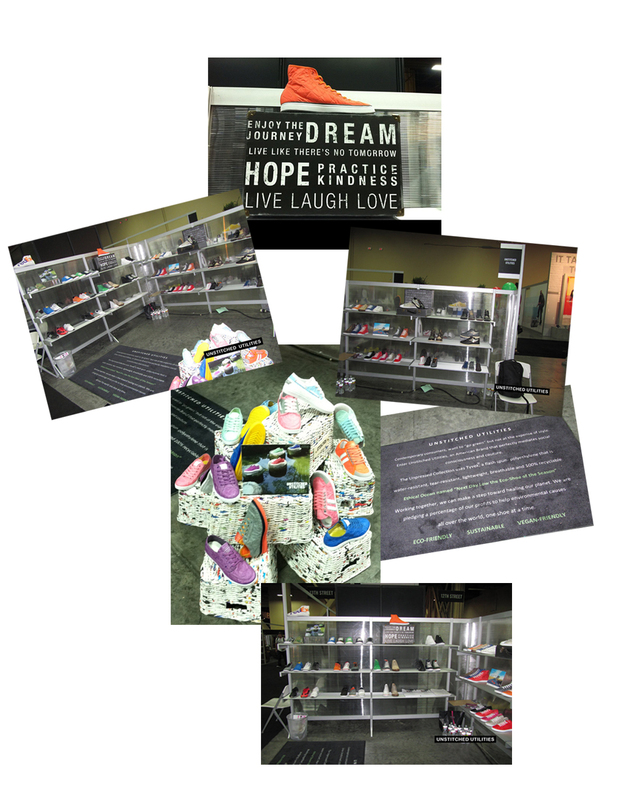 Recently, they held a green-themed party, welcoming the Unstitchedl line to the store. Make sure to check out this article about Unstitched from BaltimoreMagazine.net. The Blog Colorful Canary wrote a great review on the Hang Up Low. Check it out at Colorful Canary! Make sure to watch the video to get the real deal on this shoe!